Beard oil is in, and this begs the question, how often should I apply beard oil? The answer is everyday. There are lots of benefits to beard oils which will help to promote a stronger and healthier beard. Beard Oils can condition the skin and hair, reduce flaking and itching, deodorize, soften the hair, and they help to keep it from looking unruly. This applies to oils, as well as jellies. There are also a lot of follow up questions that we answer below. Why Would I Use It Everyday? Beard oil should be used everyday because it promotes a healthy beard. As stated earlier, it helps to condition your hair and your skin. This helps to reduce or prevent flaky and itchy skin under your beard. It also helps to deodorize your beard. The fragrance industry is huge, and scented beard oils are part of that. I have talked to many guys who use beard oils mainly for the scent. They like the scents, but they are not cologne wearers. There is nothing like hopping out of the shower and applying your favorite scent to your beard that lasts for several hours. 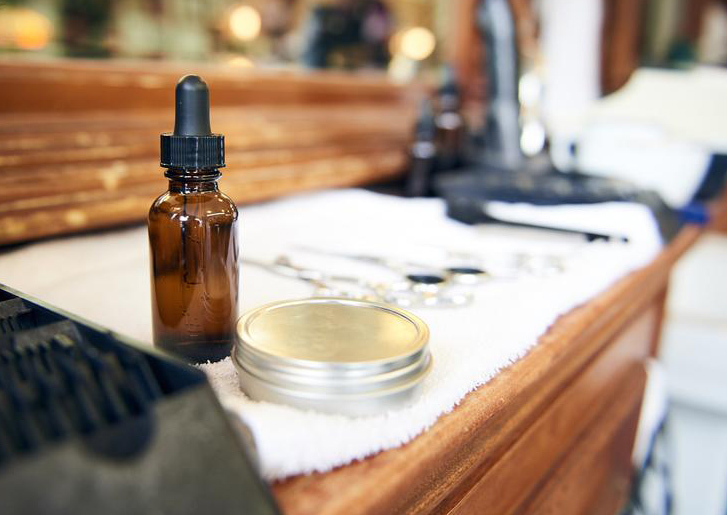 If you like to make yourself look presentable, beard oils allow you to smooth down your beard with a comb a little bit easier, and it may help with strays. It helps to make your beard hair softer. Your wife or girlfriend will appreciate this. If you don’t know why, you need to check out this article on beard burn. How Many Times A Day Do I Apply Beard Oil? This depends on your personal needs, and possibly on which season it is, but generally once per day will work for most guys. I wouldn’t recommend more than twice per day, although I know some guys that do it, and they have no issues. For me, once a day works great, but on days that I wash my beard with a beard wash, I will use it twice. Because using a beard wash will strip your beard of it natural oils, I like to apply a second application. It’s not just beard washes, but any body wash, soap, or shampoo that you wash with will strip your oils. A beard wash should actually do it less because they are designed to work with your beard, not against it. Another thing to consider is if you are not getting the benefits you need out of it, then try applying it twice per day. On some winter days if the wind is really hard, I will use it more. The cold wind dries me out, and I need the extra conditioning. If you are rocking a ZZ Top, you may need more than one application a day. I mean, if your beard is that big, you have a lot of surface area to cover. This will depend on you, but to give you an idea, I apply it every morning before I go out the door. The wear and tear on my beard and face occurs throughout the day, and this is when I need it the most. As stated earlier, I also apply it after washing my beard which is usually at night time. Does It Matter How Big My Beard Is? No, you still should apply it everyday. Just because you only have a month of growth, you should still use it everyday. If you are growing in a new beard, it is very important to use beard oils daily. Our article on beard oil for short beards will cover this topic in more detail. But, if you don’t want to read it, the article goes over why it is important to use beard oil on a new and growing beard. It covers the benefits of why it is useful. A beard is a beard whether it is one month growth or 20 months growth. Does It Matter What Brand I Use? No. You should still use it everyday no matter what brand you use. Certain oils will work differently on your beard and skin. Some are heavy and take a long time to absorb, and some are light. Either way, there are not any multi-day use beard oils on the market. If you are applying so much that it last for several days on your beard, then you probably are a little too greasy. Oh, and take a bath. Now you may find a brand that lasts longer throughout the day for you over another. In that case, you are still using it everyday, but maybe you don’t need to apply it but once per day. Now, if you want our opinion on does it matter what brand I use in general, then the answer is yes. You should use an all natural beard oil that uses essential oils. For products that are going on our faces all day everyday, we prefer not to use products with synthetic ingredients or synthetic fragrances in them. Beard Oil serves a purpose whether you have a short beard or long beard, and it should be used everyday. You should be applying it a minimum of once per day, and you may need to apply it up to two times per day on harsh winter days, after showering, or if you have a dry itchy beard. When choosing a beard oil to use daily, make sure you read the ingredient label. We put our faith in products that are all natural. If we use a scented products, we make sure it is scented with essential oils. We provided a couple that we liked, but there are many brands on the market that are reputable.